Many of you have been asking, but it is hard to know where to begin. My thoughts on Go Set a Watchman. 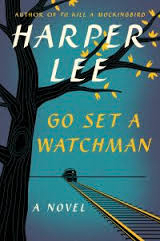 Does Go Set a Watchman change the way we will or should read To Kill a Mockingbird? This is the question at the heart of every reader who has paused before picking up Go Set a Watchman. And my answer is, yes, it will forever change TKM. But it isn’t a bad thing or for the worse. Ultimately, Watchman provides a rounder, more fully developed understanding of TKM. In high school and college classrooms across the country as well as in many living rooms where book groups meet, the two now will be read together. Watchman will provide new insight, new appreciation for characters, plot and setting in TKM. Can TKM still stand on it’s own? Of course. But similar to how hearing an author give a reading or talk about their life will influence the way your think about their writing, Watchman changes how you consider TKM. Is Watchman a great book in its own right? Not really. It is a good book, but not a great one. Quite frankly, a lot of it won’t make sense to the person who has not read TKM. The few sections of flashback – of playing revival with Dill and going to the dance with Hank – show Nelle’s promise as a storyteller, and so it is clear why her editors suggested she rewrite the book completely as her childhood self. The sections that relied heavily on dialogue – like her discussions with Dr. Finch (Uncle Jack) and Atticus – were pretty flat and hard to follow. And the narrative line about Hank felt forced. I enjoyed the more developed Uncle Jack and Aunt Alexandra, since they are not so in TKM. And, perhaps the consistency that does exist between the two books will help to answer the enduring question of Truman Capote’s influence on the writing of TKM. Does Watchman change who we know Atticus to be? I believe Atticus was progressive for the day in which he lived. He was going about improving race relations and the status of blacks in his community the only way he believed it could be successful. He faulted the NAACP for taking too narrow an approach, too narrow of a cause by only dealing with the right to vote. Can we judge him today knowing that progress would take the exact type of strong action on a cardinal point like it did? We can, some will, but we shouldn’t. I think there are two strong arguments against considering Atticus a racist. First, the character of Jean Louise herself. You don’t raise a person like her if you are prejudice in your soul and everything else is a façade. That would mean that Atticus lived in view of Jean Louise for 25 years with no chink in the armor. And, the fact that Atticus doesn’t get angry when Jean Louise challenges him but instead is proud of her is evidence that she has grown into what he intended. That is not the heart of a bigot. Second, given that TKM is Nelle’s second attempt at a characterization of Atticus and he is portrayed with such absence of prejudice and racism, we should believe that this is Atticus she wanted us to know – his true state. Think of TKM as Atticus 2.0 – more true, more real because she’s had a second go at it. Consider the metaphor that Nelle/Jean Louise uses at the end of the book – comparing Atticus to the tail of an airplane and herself to the nose. Both positions are needed and necessary. An unbalanced excess of either wouldn’t carry the plane very far. Uncle Jack supports this interpretation when, acknowledging that Atticus’ way won’t create the change that is needed, he tells Jean Louise that Maycomb needs more people like her there. Was Watchman published with Nelle’s cognitive permission? In short, this is a question we will never know the answer to. It is very plausible. 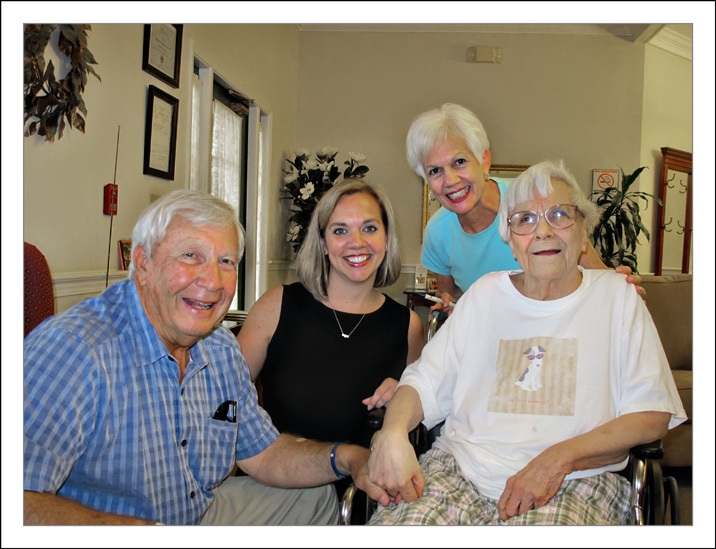 Based on what I know and fashioned by my hour+ visit with her in the spring of 2011, I saw no mental degeneration. Sure, she was a bit hard-of-hearing, and she claimed she preferred books with a large font, but she had every bit of her mind. She was quick-witted, alert and present. If someone asked her at that time, she would have been able to give permission or not. At least one other person who visits with her regularly agrees. This could have absolutely changed by the time Alice passed away three years later. And admittedly, this does not preclude– even in this state – a sharp-talking lawyer persuading her. So why sit on it for all these years? It is plausible that Alice didn’t want Watchman published (I can think of a host of reasons why), and Nelle deferred to her sister. The two things we know about the Lee sisters: 1. Alice is a control freak. (No 103-year-old continues to go into the office every day in order to linger managing a high-profile account without accepting this characterization.) 2. Nelle adored her sister. Without undermining the sincere sisterly affection that existed between the two, these two facts create a hot-bed for unhealthy familial enabling. For this reason, no outsider should assume they can “figure this out” using good ole’ common sense or logic. There is much more that can, should and will be written about Watchman and about it’s now older and wiser sister-novel. And, I am looking forward to what I’m sure will be spirited debate with my book club in a few weeks. For now, I’ve said more than enough.